Viriconium is reminiscent of Vance's Dying Earth or Aldiss's Hothouse or Moorcock's Elric: A dying (or decadent) Earth and its last civilizations. It's actually a collection of three short novels and a handful of short stories. Harrison is not simply telling a tale but is attempting "serious literature" and the reader shouldn't come to these stories expecting to while away a quiet weekend idyll. The most accessible book is the first one, The Pastel City, written in 1971. It narrates the clearest, most readable plot. Back to the books: As I wrote above, The Pastel City is the most accessible read, being largely straightforward and sparing in its prose (certainly compared to later efforts). Barbarians from the north are overrunning Viriconium using machines resurrected from the graveyards of some forgotten Afternoon Culture. tegeus-Cromis, Tomb the Dwarf, Birkin Grif and several others disable the machines and save Viriconium (in the process Tomb resurrects people from the Afternoon, with tragic consequences in subsequent books). A decade later, Harrison returned to Viriconium in A Storm of Wings, where his prose is much richer and his storytelling far more elliptical. Here, intelligent insects have descended from the moon but their reality (Umwelt) is clashing with that of humanity's and the resulting chaos is destroying both races. The second novel is a tough read, not just because of the style. Many readers will be put off by the sometimes turgid prolixity but when it works, it works well. Particularly near the end of the book when the "hero" Galen Hornwrack almost inadvertently saves human reality. I haven't read enough Harrison to know whether I accept Clute's interpretation entirely but is does gel with how the author's characters behave and the decreasing fantasy elements of the stories. 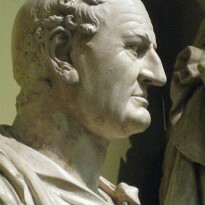 I'm put in mind particularly of In Viriconium, whose style is very realistic (relative to the first two), and the short story "A Young Man's Journey to Viriconium," set in modern-day England and where Viriconium is a mental construction rather than a real place. 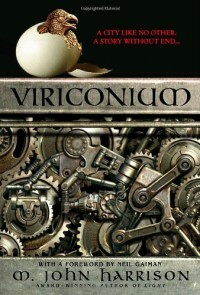 The third book, In Viriconium, is a reimagining of Viriconium that falls somewhere between The Pastel City and A Storm of Wings in terms of style. In all three books characters reappear but are reimagined. For example, Tomb the Dwarf is a character common to all three novels but is a different character in each one; and Fat Mam Eteilla, who died in A Storm of Wings, lives in In Viriconium. In sum, I have a qualified liking for the stories. A Storm of Wings is the weakest of the three novels, never quite succeeding in its ambitions. In Viriconium is certainly the most poignant. If you're looking for just a solid adventure you'll want to stop at The Pastel City but if you're interested in some mental exercise, grappling with ideas about reality and perception, then M. John Harrison is an interesting author who, even if you don't accept his viewpoint or have difficulty with his style, is worth reading.